December 7th, 2017 By: GGT Category: 2018/07 release, Figure News. Phat! 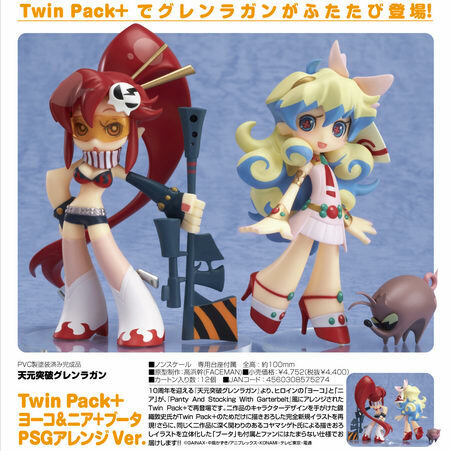 company is going to re-release the Twin Pack+ Yoko & Nia + Boota PSG Arrange Ver. ( ヨーコ＆ニア＋ブータ PSGアレンジ ver. ) 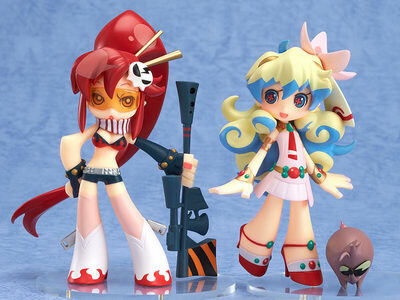 non-scale PVC figure set form the anime “Tengen Toppa Gurren Lagann” ( 天元突破グレンラガン ). Will be re-released on July 2018. Around 100mm tall, 4,400 yen. The set also includes a little figure of Boota, which was illustrated by Shigeto Koyama, another staff member deeply involved in both of the series! 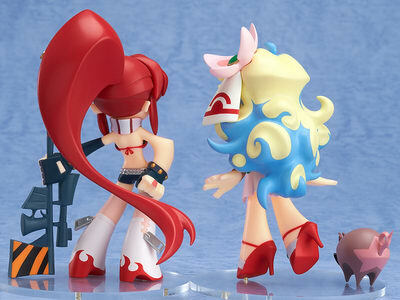 It’s a lovely set that Gurren Lagann fans are sure to fall in love with! !